The Chester County ACEs Coalition: Have you heard?? 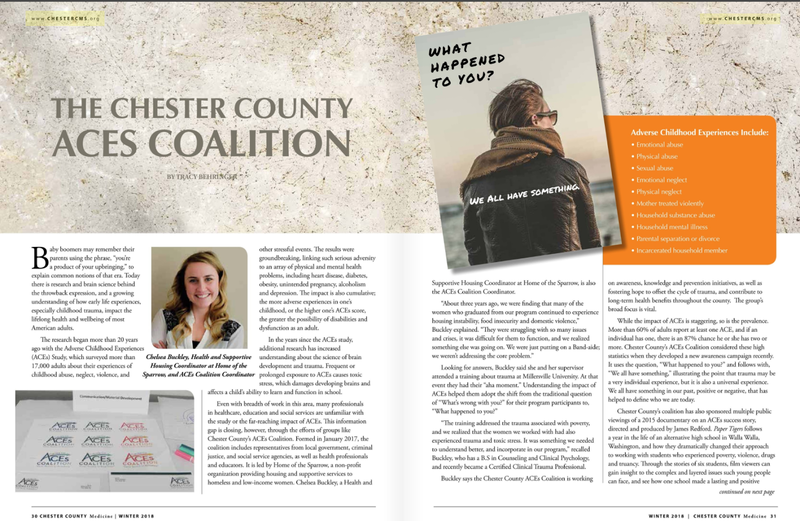 Check out this awesome article written by Tracey Behringer, published in the Winter 2018 edition of Chester County Medicine Journal! Our feature starts on page 30!